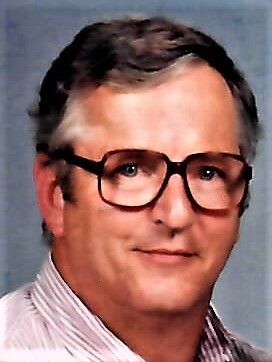 Peter Philip Reguin, 74, of Inverness, Florida, died on February 1, 2019 at home surrounded by his family. Peter was born on April 15, 1944 in Norwich, Connecticut, the son of the late Paul Sr. and Isabelle Reguin. Peter was a US Air Force veteran serving during the Vietnam War. He retired from the State of Connecticut Student Loan Foundation as a computer programmer. Mr. Reguin moved to Inverness from Colchester, CT in 2008. He was a member of Our Lady of Fatima Catholic Church in Inverness and the American Legion Post #155, Crystal River. He was also a 4th Degree member of the Knights of Columbus 6391 where he served as Past Grand Knight, Deputy Grand Knight and Financial Secretary. He spent 50 years with the Boy Scouts and the 4H Foundation. Peter was preceded in death by three siblings, Paul, Theresa and Christine. Survivors include his wife of 53 years, Diane Reguin; a daughter, Christine Reguin-Thomas and her husband Jeffrey of Sterling, CT; a son, Matthew P. Reguin and his wife Amy of New Milford, CT; a sister, Nora Ferriell and her husband James of East Lyme, CT; two brothers, Louis Reguin and his wife Diane of Lisbon, CT and Daniel Reguin and his wife Andrew of Taftville, CT; Mr. Reguin also leaves behind seven grandchildren, Danelle, Shawn, Jennifer, Alexandra, Jordan, Ian and Lila; and four great-grandchildren, Zachary, Cooper, Addison and Ella. In lieu of flowers, the family requests memorial donations be made to HPH Hospice, or Helping Hands at Our Lady of Fatima Catholic Church. Peter’s family will receive friends on Wednesday, February 6, 2019 from 2:00 pm – 4:00 pm at the Heinz Funeral Home, Inverness, Florida. A Mass of Christian Burial will be offered at 10:00 am on Thursday, February 7, 2019 at Our Lady of Fatima Catholic Church, 550 US Highway 41 S., Inverness, Florida. Father Timothy Cummings will preside. Interment will follow with Military Honors at Florida National Cemetery, Bushnell, Florida.